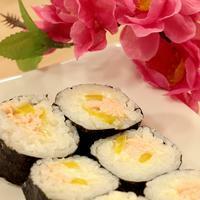 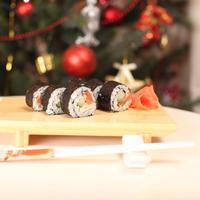 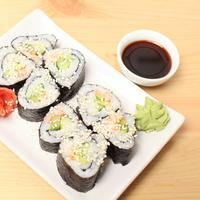 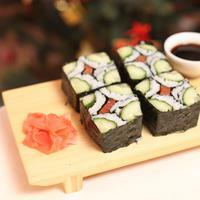 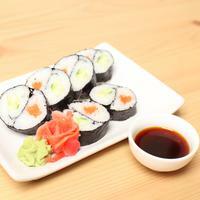 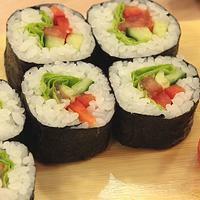 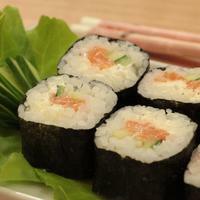 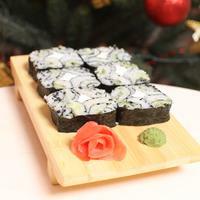 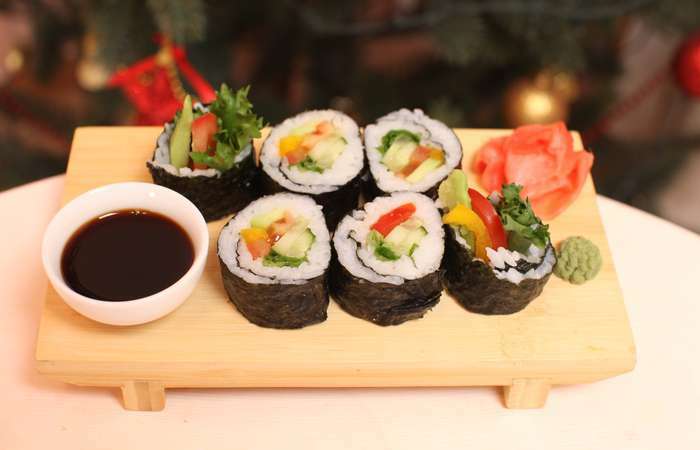 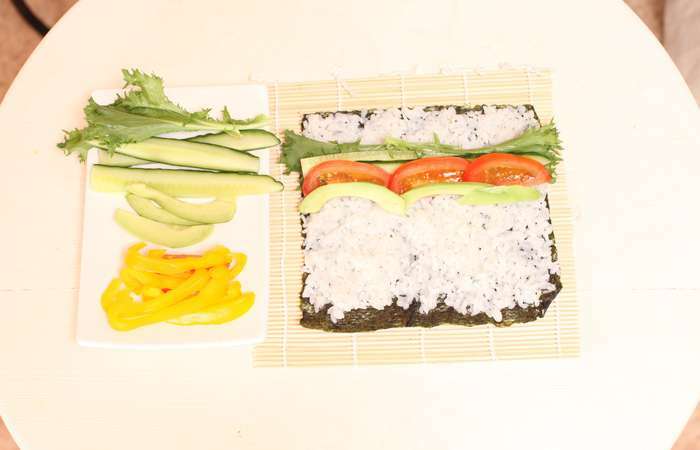 One more variant of rolls with vegetables and garnished with lettuce. 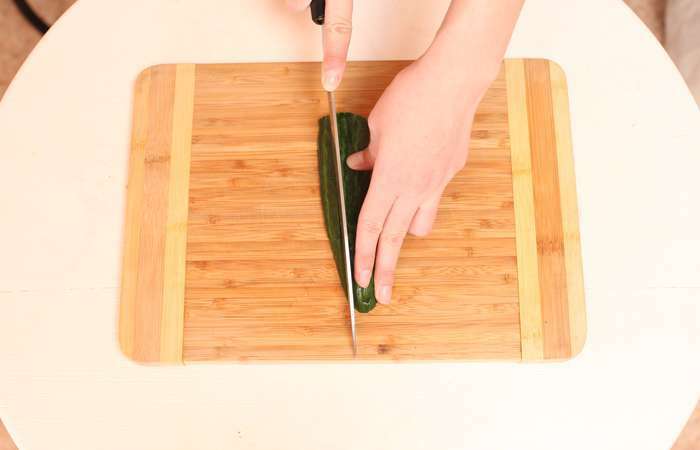 Step 2: Cut the cucumber lengthwise into half. 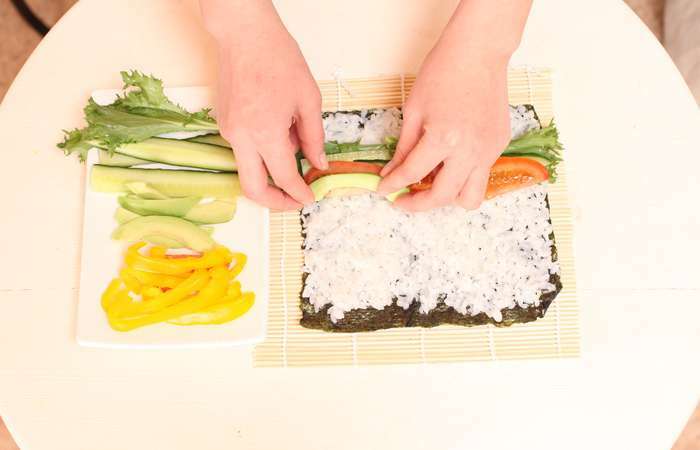 Then cut each half into thin strips. Step 3: Cut the tomato lengthwise into halves. 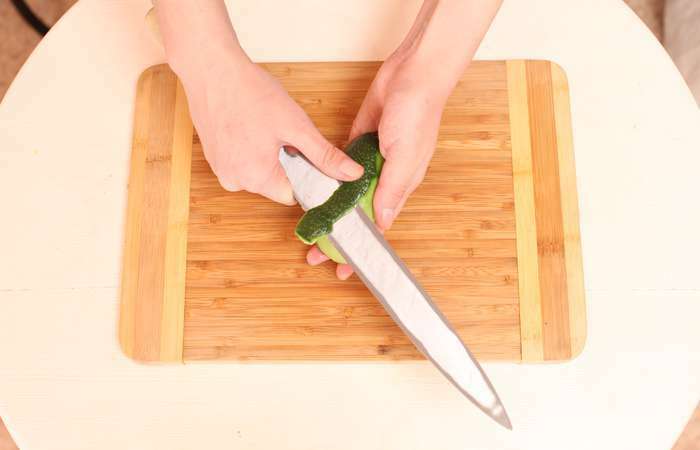 Then cut each half into long strips. Step 5: Cut avocado into strips. Step 6: Cut the bell pepper and remove limbs and seeds. 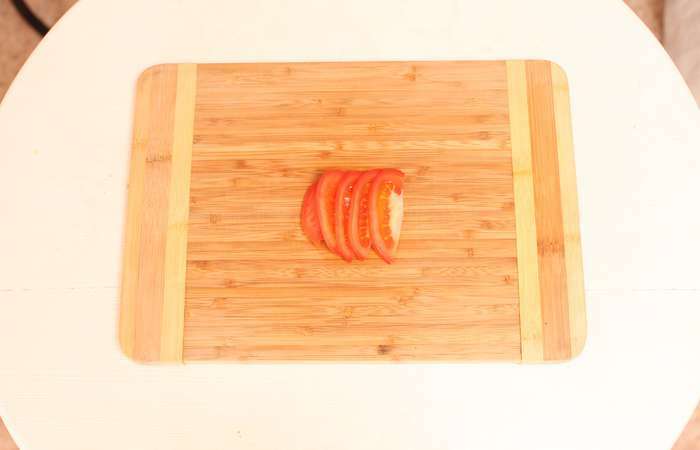 Then cut each half into thin strips. 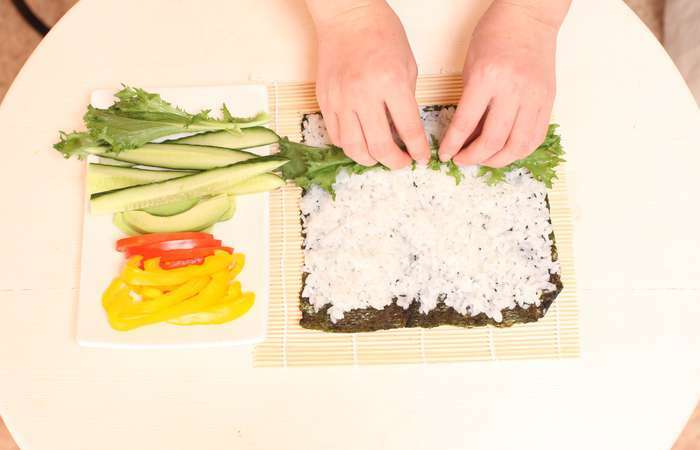 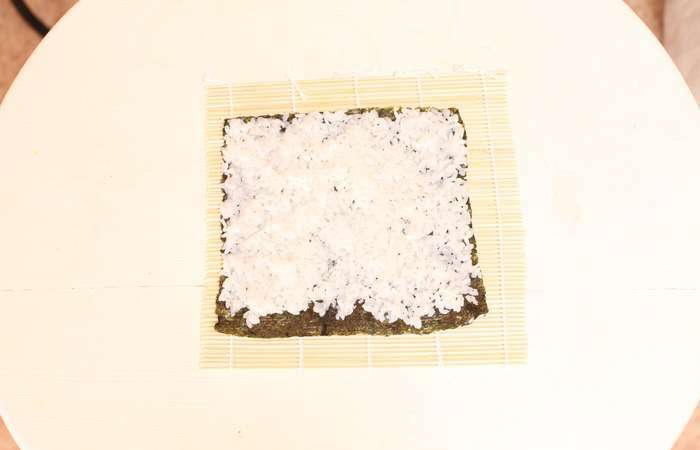 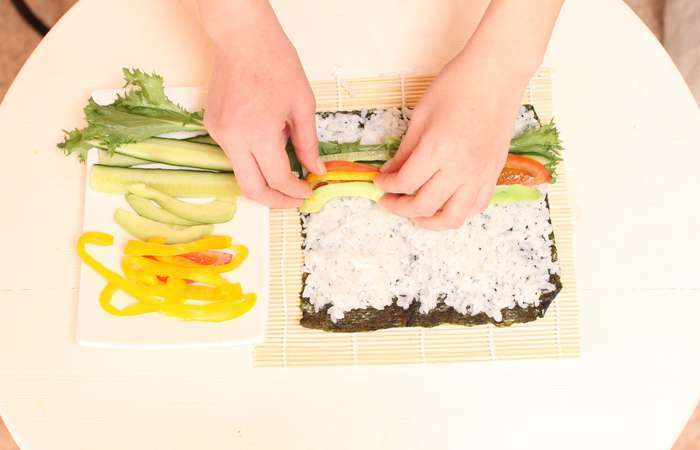 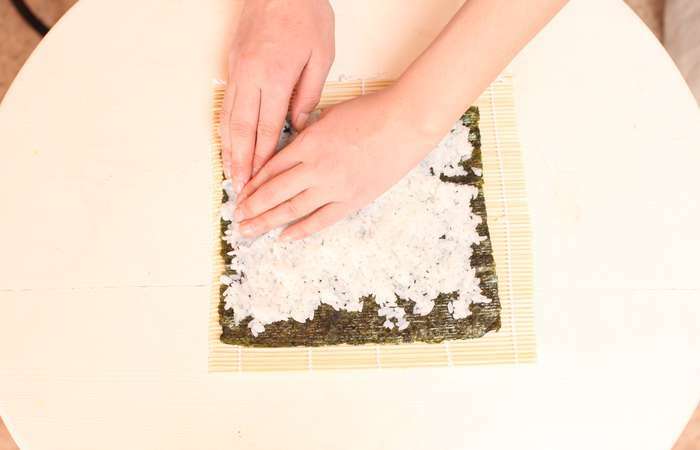 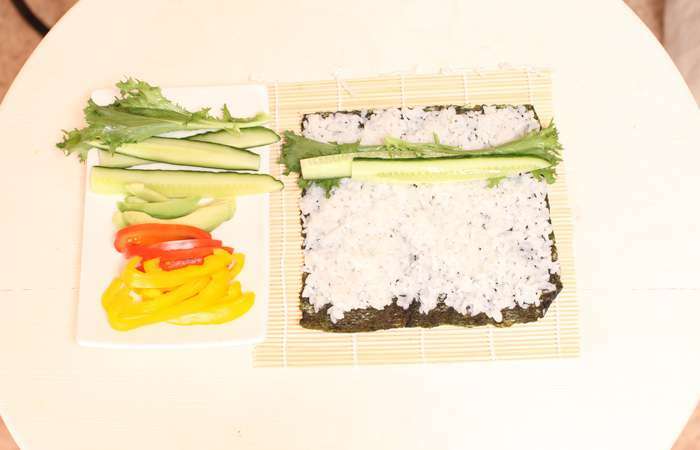 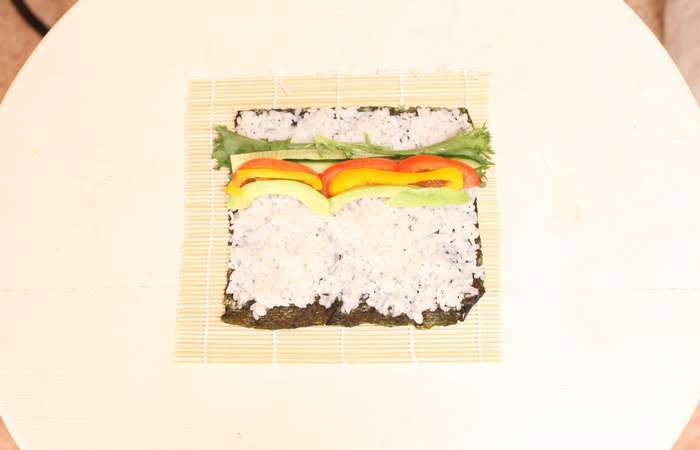 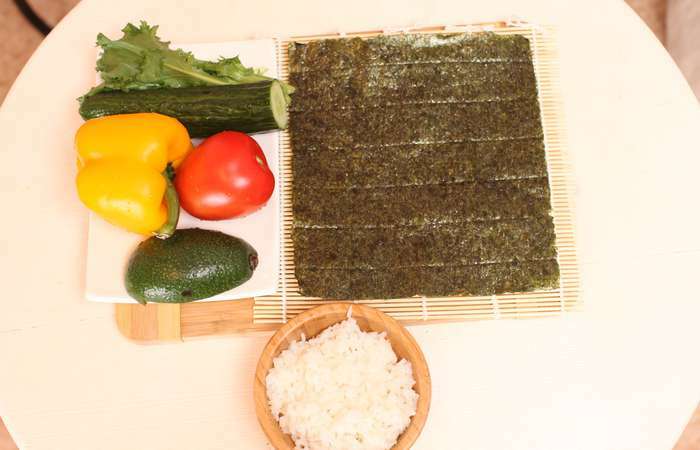 Step 7: Take a handful of rice and distribute it evenly onto nori sheet. 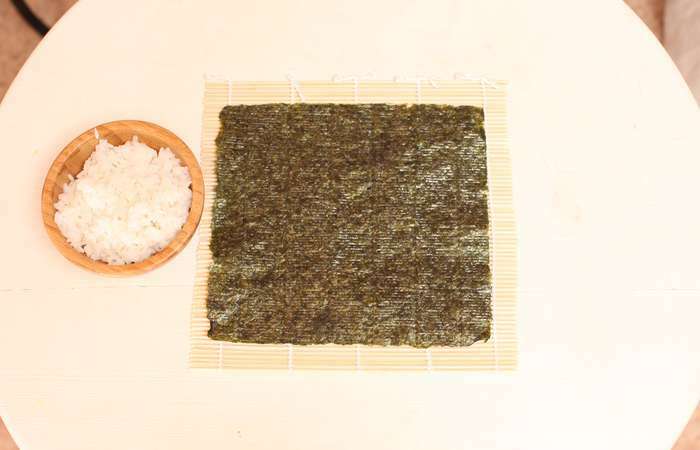 Leave approximately 1.5 cm 0.5 inch free of rice. 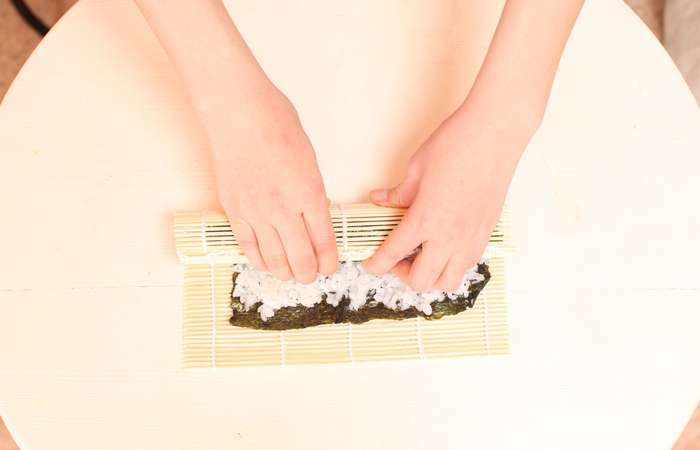 Rinse your hands in a bowl. 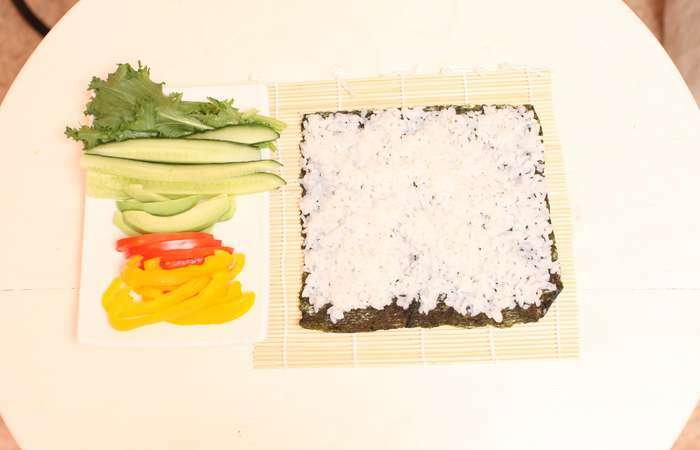 Step 8: Place lettuce on the rice in such a way that the lettuce extends beyond the edge. Step 9: Put several cucumber stripes on the salad. 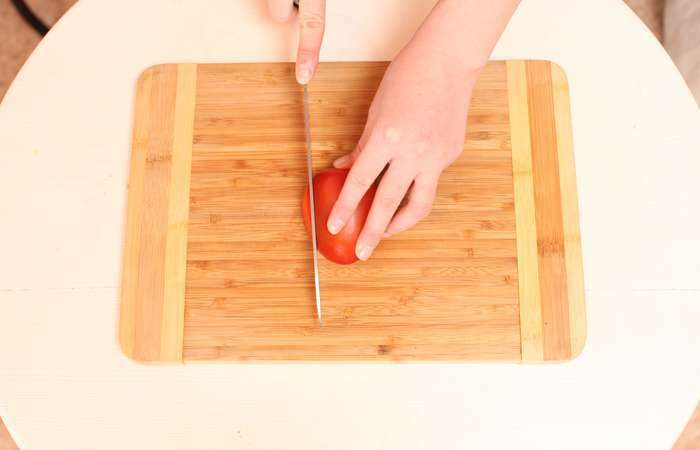 Step 10: Add several tomato stripes. Step 11: Place several avocado stripes. 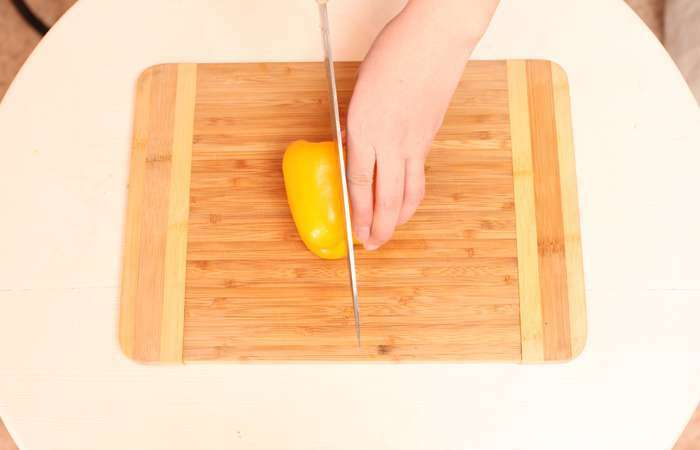 Step 12: Put yellow bell pepper stripes on top. 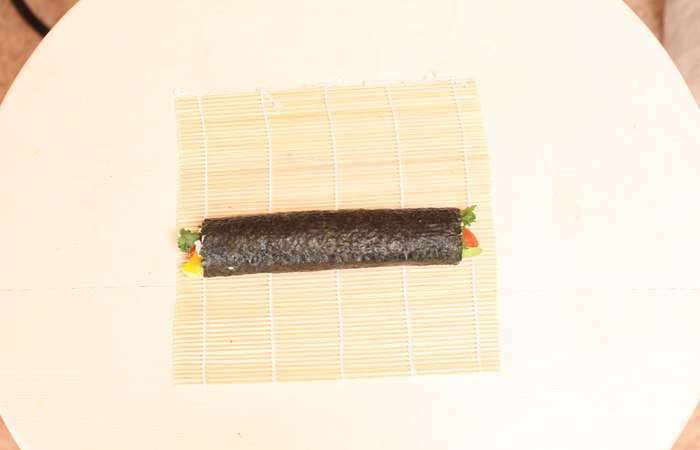 Step 13: Using your thumbs take the edge of the mat which is the closest to you and start rolling it. 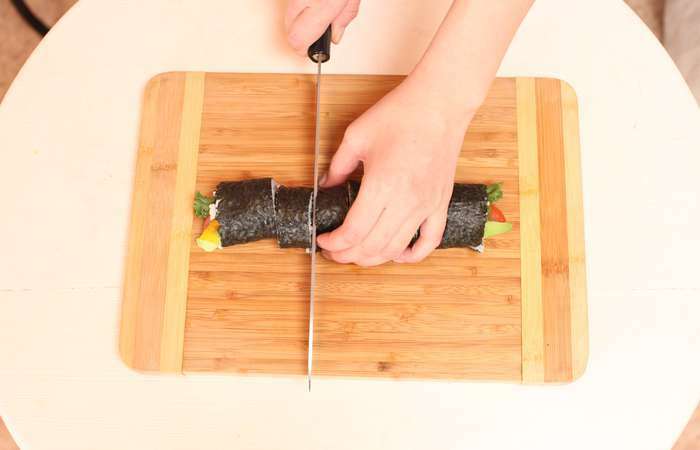 Hold the ingredients with your fingers so that they remain in the center of the roll. 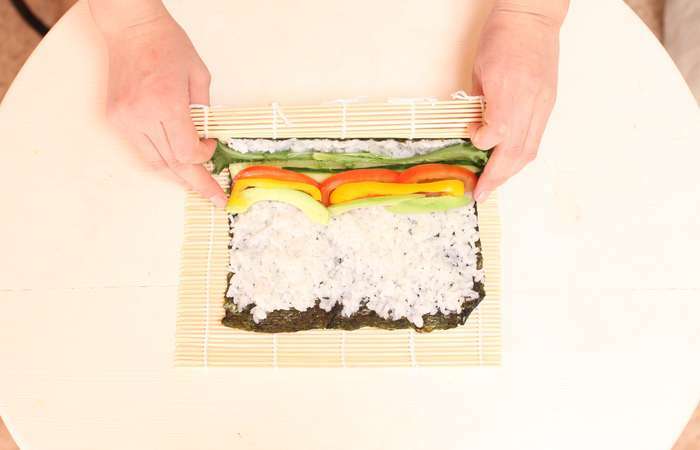 Roll in until the rice layer ends. 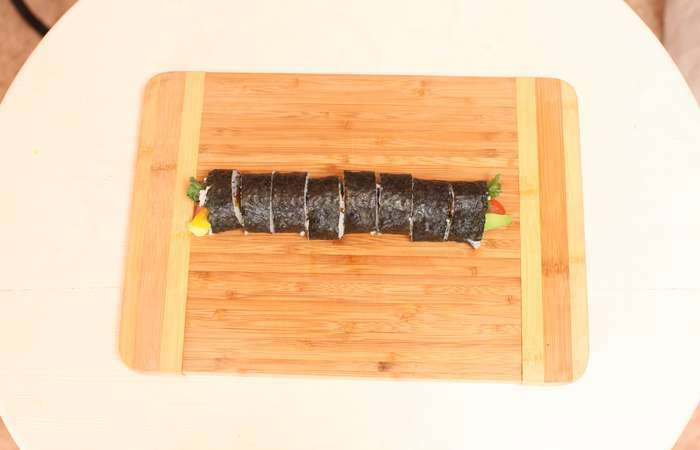 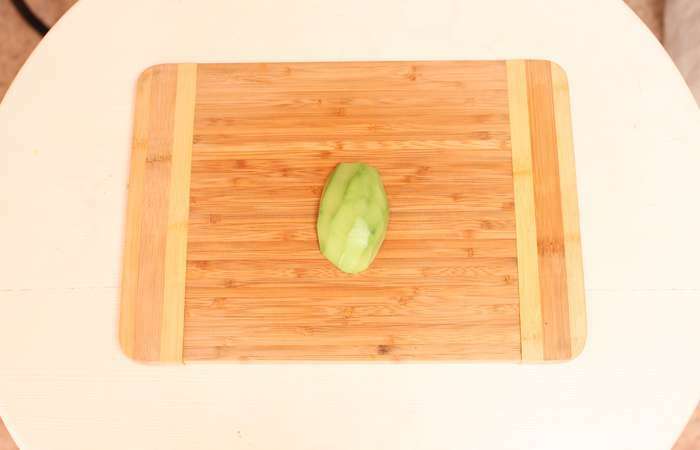 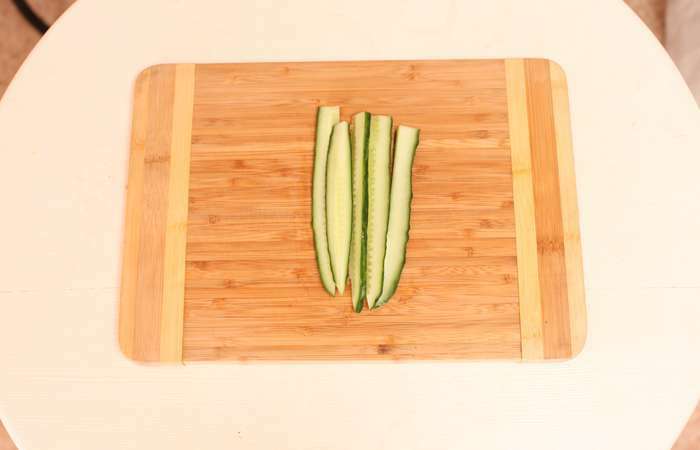 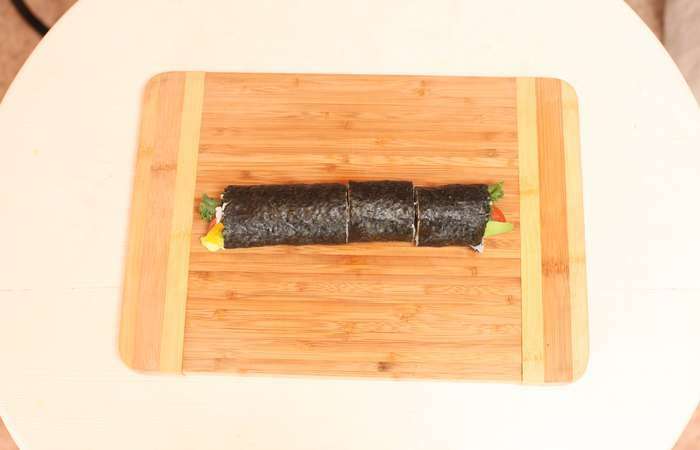 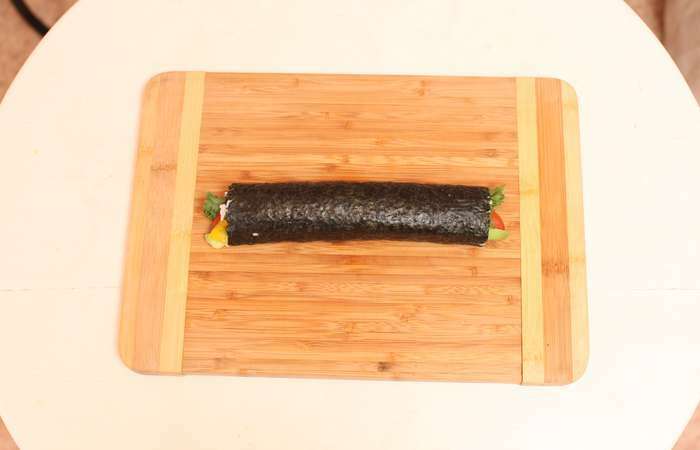 Step 14: Put the roll on a chopping board and cut it into 8 pieces using wet knife. 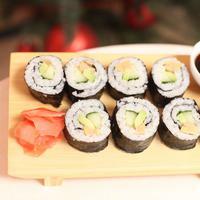 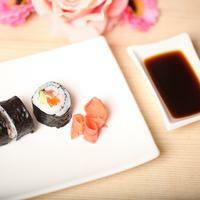 Step 15: Serve with soy sauce, wasabi and pickled ginger.